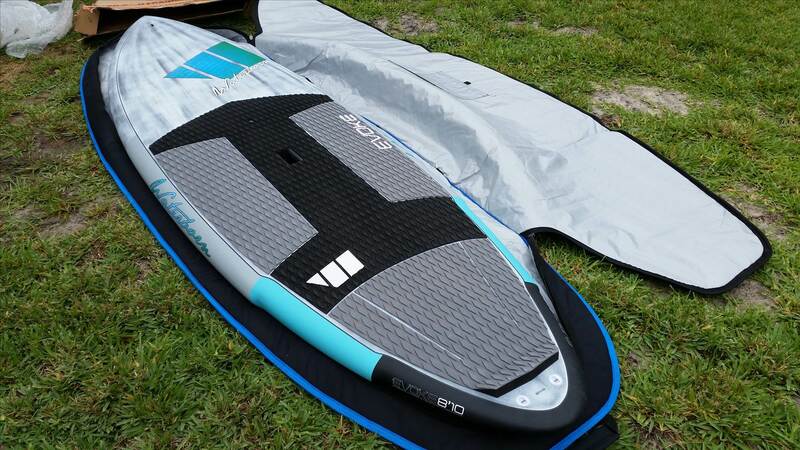 2014 Waterborn Evoke 7'11, any body used one??? I'm chasing a new board as I want to improve my surfing and seeking some advice. I've been supping for a couple of years and love it but previously surfed non stop from a young kid to late 20's until family and mortgage came along and now middle age. 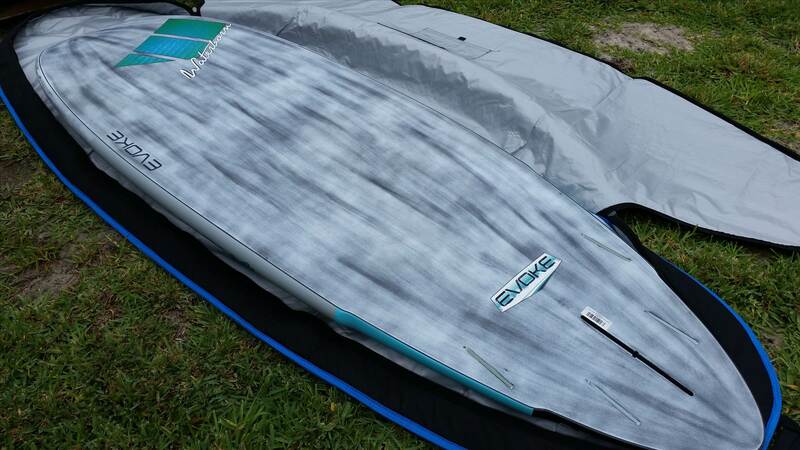 I am currently using a 2013 9'x 30" atlantis vex profusion and love it but was thinking of going to the waterborn evoke 7'11 x32" in brushed carbon sold by the surfboard warehouse as it is only 5 litres difference in float but would be great in the surf to throw around. Any advice would be great as I would love to hear the good / bad before I drop and $$. I see you got flooded with answer here! 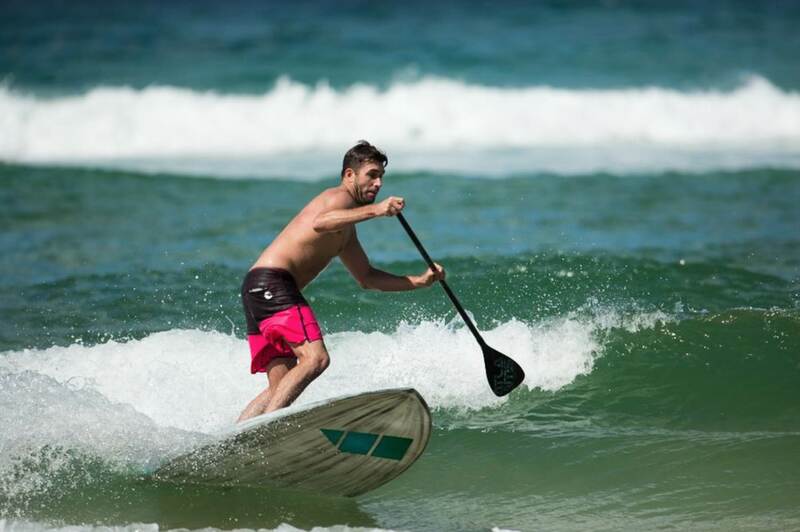 ha ha.... Well, I was just having a look at this exact board in the surf today... had to look it up, as the guy who was on it seemed to be really throwing it around and I thought it must be some fancy model with a hefty pricetag. I see that it retails anywhere from $850 upwards for the carbon model. So.. yeah.... whats the deal with them, anyone? I am pretty sus about any sups in this price bracket though - now wishing Id spoken to the guy I saw, about his ride. A friend of mine has one of them except not in the carbon he's only had it a few months says it is sweet and cheep but seams to be doing the job. 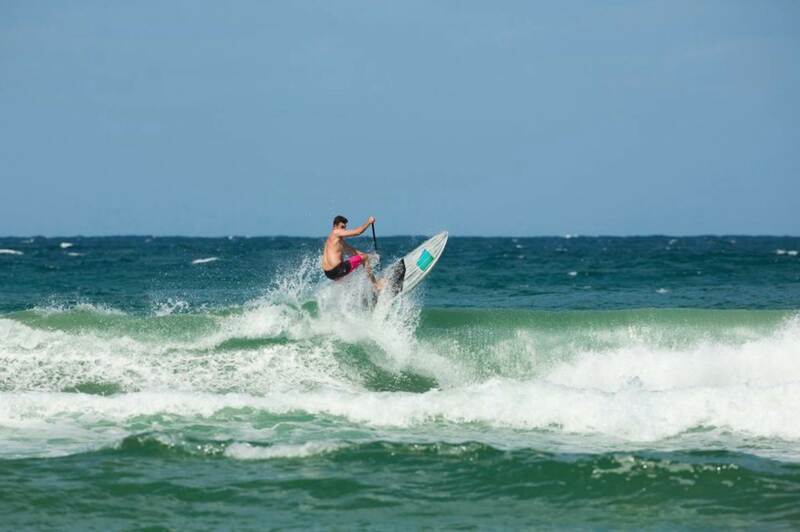 friend of mine rode his straight into the rocks at Currumbin doing massive front side punts . not one ding. I want one. I wonder where you can get them from? I have a Waterborn Illusion - a big board 10'6 with lots of litre's! It was my first board, purchased from the Surfboard Warehouse at Miami. The only negative to this great value board, is it is bloody heavy!!! a problem the smaller 'carbon' evoke wont have. G'day all again, thanks for the replies gents and I have an update. I ended up buying a 7'11 evoke but in the bamboo. The store had a second which was an unwanted prize that they bought back and I got it for a great price and couldn't say no (thanks Mooloolaba boys!!). I'm stoked with it and it turns like a short board, no **!!! Stable as in the surf with the 32" width and I've had it 1' slop to 6' charging and it's great. I realise they are probably mass produced in China but when I destroy it I'll get another and will still probably still be ahead on the $$. Just another point, I'm not sold on the carbon. I held the bamboo and the carbon in each hand and I thought they were the same weight. One of the guys in the store reckoned the carbon was heavier. Definately not worth the extra $$ I reckon. Cheers Whitey (yt04). Thanks for the feedback guys. Stoked you enjoy my little waterborn design. I am 6'2 and weigh 90kgs. I usually ride an 8'6 Atlantis Vex but today the wind was 15 - 20 knots cross shore and everything looked hard. The width through the Evoke made it the perfect choice while still keeping the size down. Instead of my usual 7'11 Evoke I tried a new prototype 8'10 PVC Carbon which was even more stable in the small tricky conditions. Not the best surfing of mine but I thought I would post a few screen grabs that came out alright. Thanks again for everyones support and sharing their stoke. also would you have some pics from side on, just want to get better idea of rocker. I've only just started paddling this year (Feb) so I'm nowhere near qualified to provide advice other than from my experiences to date. But I'm thinking at your weight you'll be fine on either the 8'10" or 9'4" after the initial adjustment period. Here are a couple of photos just after the nervous unwrapping of the the box. I must admit, it was VERY well packaged and for extra measure I ordered a cover at the same time - my thanks to Tim and the guys at TSW. If you do or have already pushed that purchase button, my advice before you take it out in the water is to check that the Gore-tex valve is correctly seated and working properly. I stupidly made the assumption being a Gore-tex valve I wouldn't need to touch it. Whilst I was washing down the board I noticed that a little pool of water around the recess of the valve was disappearing whilst on a flat surface. So I investigated further and found a little excess plastic around the valve recess which I removed and made sure the seat was nice and clean for the valve and O-ring seal to sit flush against when screwed down. You'll need a 16mm socket and finger tight will be enough for the O-ring seal and Gore-tex membrane to do it's job. Since I did this, it's no longer taking in water and on occasion I can see bubbles emanating from the valve whist out paddling. Hope this is has provided some help and I look forward to sharing the joy of being out there on the water with you guys. ready to push the button.....hey whitey where'd the option for bamboo go from drop down box on website? also, could you ask freight guys if we could save some $'s with perth depot collection?